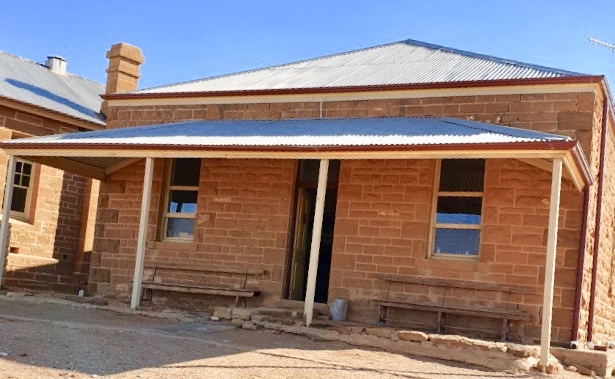 The first police station at Milparinka was established in 1881, not long after the discovery of gold at Mount Poole and the subsequent opening of the Albert Goldfield. Thousands of miners flocked to the area and six policemen were posted at Milparinka to help control them. The stone police station shown in the accompanying photograph was constructed in 1885. Trackers sometimes helped move the gold shipments by coach from Milparinka to Wilcannia where it was loaded onto steamers plying the Darling River for the journey to Adelaide. Trackers were employed at Milparinka from as early as 1883 when an Aboriginal man known only as Willie was posted at the station. Willie remained as the local tracker until 1907, assisted by Tiger in 1884 and Paddy in 1896. Although largely unsung in his long career, several of his cases were recorded in the press. In March 1891, Willie followed the footprints of a missing man from Yantara Station until his body was found by a waterhole known to contain impurities. Sydney Mail and New South Wales Advertiser 21 March 1891: 669. In May 1897, Willie tracked a cattle thief on the outskirts of Milparinka who was then arrested with stolen beef in his possession. Barrier Miner 18 May 1897: 3. 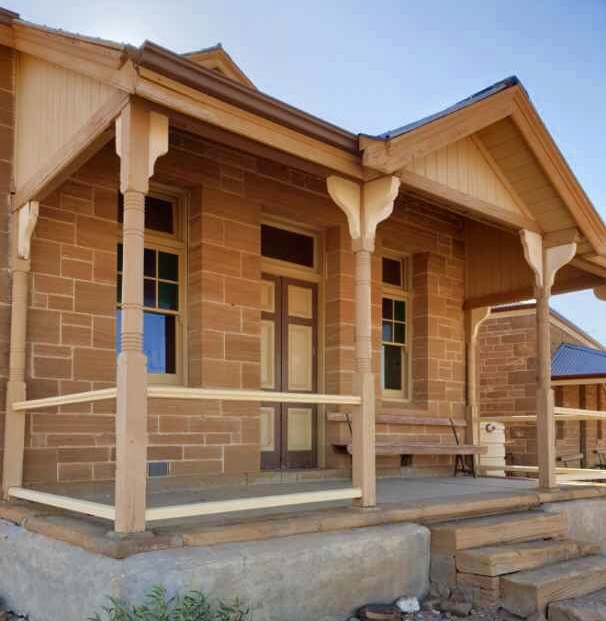 In January 1905, Willie found the remains of a missing man who had perished from thirst in the remote country towards the South Australian border between Yandama and Tilcha Gate. Western Grazier 20 January 1905: 3. Womby was the tracker at Milparinka for several years from 1909. There are no accounts of his tracking work, but in October 1910 he was briefly imprisoned at Milparinka on a minor drunkenness charge. Western Grazier 5 November 1910: 2. Despite the conviction, Womby continued as the tracker at Milparinka until the end of March 1911. Police Salary Register 1910-1911 SARANSW 3/2994 Reel 1973. He also worked as a station hand at Yancannia. A notched stick was kept at the office to record the number of times Womby had been paid and when a bookkeeper tried to shortchange him by adding an extra indentation, he went straight to the manager to ensure he was paid the correct amount. Bobbie Hardy Lament for the Barkandji: The vanished tribes of the Darling River Region. Rigby Ltd, Adelaide. Womby had two daughters with an Aboriginal woman named Momba: Dolly Womby who was born at Milparinka in about 1903 and Edna May Womby who was born at Tibooburra in 1911. Sadly, neither reached adulthood. Their mother died at Tibooburra on 16 March 1912. DC of Momba 1912/003559. Edna May passed away from whooping cough and broncho-pneumonia at Tibooburra two years later on 1 May. DC of Edna May Womby 1914/009001. Dolly Womby died at Yandama on 26 July 1918.DC of Dolly Womby 1918/013684. What became of Womby himself is unknown. 1. ↑ Sydney Mail and New South Wales Advertiser 21 March 1891: 669. 2. ↑ Barrier Miner 18 May 1897: 3. 3. ↑ Western Grazier 20 January 1905: 3. 4. ↑ Western Grazier 5 November 1910: 2. 5. ↑ Police Salary Register 1910-1911 SARANSW 3/2994 Reel 1973. 6. ↑ Bobbie Hardy Lament for the Barkandji: The vanished tribes of the Darling River Region. Rigby Ltd, Adelaide. 7. ↑ DC of Momba 1912/003559. 8. ↑ DC of Edna May Womby 1914/009001. 9. ↑ DC of Dolly Womby 1918/013684.